Bridges Camp April 2017 - Bridging Gaps e.V. Ashwin described his time at bridges camp as a learning experience because his was not familiar with being with children of different races for more than a few hours, compared to when hanging out with the locals. 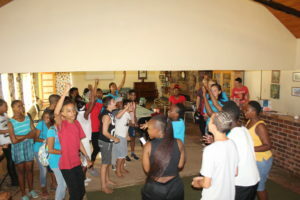 What many of the teenagers experience at bridges camp forms the foundation into building them in becoming leaders within their peer circles, trying to change perceptions with regards to how they view the world around them, furthermore how they relate to others whom are different with regards to the colour of their skin. “Being part of this group has really opened my mind set to other dimensions, guys like Lesego, Kerschia and Dudu has showcased that nothing is impossible in live. 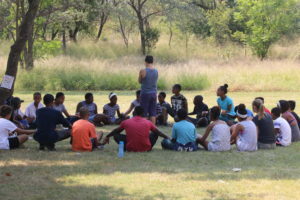 The fact that the entire camp was run by them and some of the facilitators made things very easy for me, in terms of speaking up about things that I sometimes found embarrassing and regarding issues that I wouldn’t speak to either my parent with. 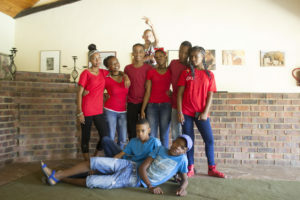 The platform given us by bridges camp has built my moral capacity!” he added “It is always great to have a break away from other things and focus on personal development. Throughout the week being around both Hank and Ashwin yet again made me wonder about the impact the camp has had on their personal lives. If memory serves me very well Hank was part of the March 2016 group from the East of Pertoria. “I have come to learn that we are all different but yet the same” he said, when asked what does that mean in his book he further articulated that “ Since I meet the other kids (all races) I never knew how it was like to share, not that I couldn’t do it, but I did not know that what happens to me and some of the issues that am confronted with others are in the same position. Interesting was the conversation that we had after Free Time he pulled a chair and asked me whether I was going to swim or not, well I couldn’t let the offer pass me by because of the interesting water games taking place right in front of us. However, we both did not take the other offer but rather opted to make some paintings and marks instead. During the process, I asked him what was his second opinion with regards to the camp, “Being around peers that understand the kind of person the second time around delights me” he added, “it was difficult the first time around but I managed to make friends like you Dee, Thabang and Dornel whomi wish to contact on a daily because I feel that they resonate with me. The most crucial factor that I have seen at bridges camp is that one needs to allow the teenagers to settle in and then try to look at what they like and find common ground. What kept me most interested about the upcoming camp was the conversations I that seeks to change the manner in which individuals that occupy different industries embrace their inner-persona of contributing to robust change about their way of life and how they relate to lives of others. To our various volunteers from all parts of the world, shared aspirations and experiences bring us closer than we actually think. What makes it so common is that the human change factor comes into play more than we even consider. 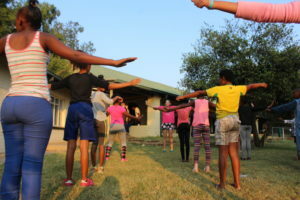 From the previous years attending the camp it has been somewhat different, from the children (participates) to the various facilitators ( those who have been through the ranks) and the the supervisors responsible for making sure everyone enjoys and is well taken care of. However, something’s have remained the same, the moments shared and experiences are a constant remind of the various issues that every single one of us take away each time when exist the camp site. Most importantly is how we go back to our different community settings and foster change. Locations are merely the space in which one occupies but shared norms and values come to remind us of the important roles in which all of us are responsible for. 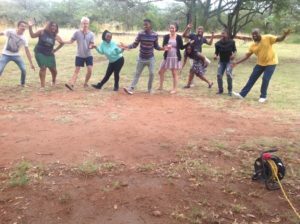 Something that has driven and still steers the ship in the camp is the energy and excitement brought by the supervisors and the facilitators, in so saying is because the communications channels open even further in engagement between two. Each volunteer that has been part of the initiative act as a constant reminder of what is importance of our roles and maintaining the same standards throughout the years. Evidently we all responsible for the development phase of our participates and the role in which they will play in society after attending the camp, perhaps we all forget that in the mist of having fun however when entering the main hall a large chart in bold writing catches the eyes and shift the main focus on the primary objectives.